If you’re in the mood to get experimental with your home décor, we have some simple ways to make a statement with paint. 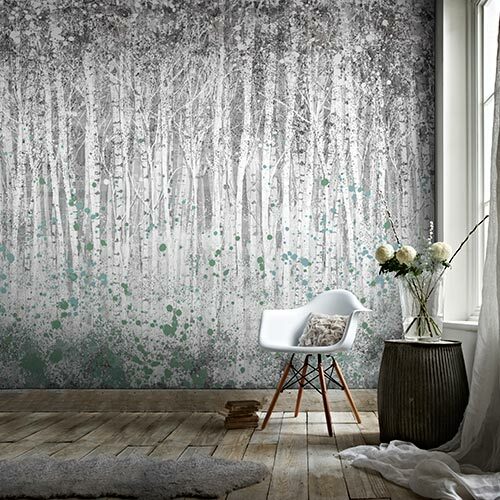 Your walls are a blank canvas and there are so many alternatives to using one single colour. What’s more, why keep paint exclusively for walls? Follow our tips to stepping up your décor game in every room of the house. The staircase is often an area of the house that gets overlooked when updating your décor but with a fresh coat of paint, it can quickly become a striking focal point. 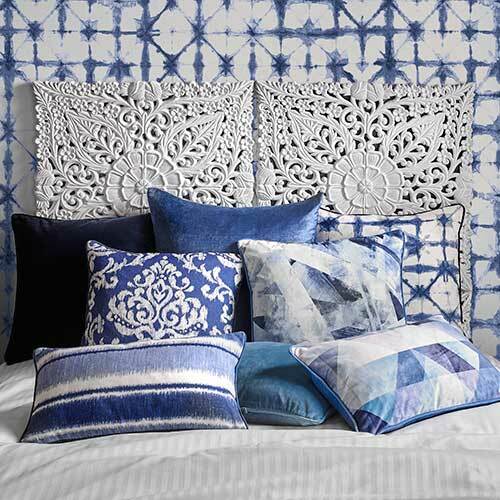 Ombre designs are quickly taking over the décor scene and whilst they look stunning on cushions and throws, it was only a matter of time before this trend stole the spotlight and started being used in larger areas of the home. If you want to spice up your staircase, get creative with a colour of your choice and create an ombre design by choosing four shade variants of the same colour. 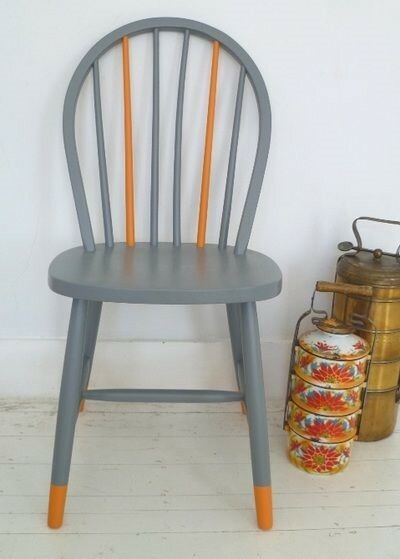 Why not turn an old chair into something elegant and eye-catching? Use two paint shades (our Glitz grey paint and Mandarin paint is the perfect combination) to add colour to your space without being excessive. For something a little bolder, why not take your inspiration from this season’s geometric trend? 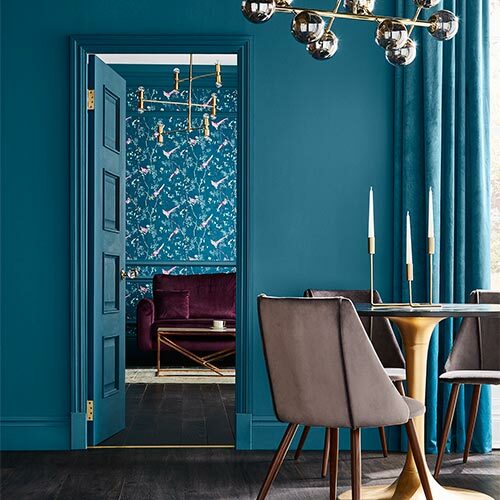 This design is especially dramatic as it uses more than two contrasting colours to create the effect. 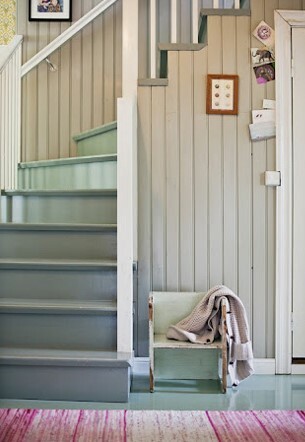 For this look, you will need three colours such as taupe, dark green and mint green. 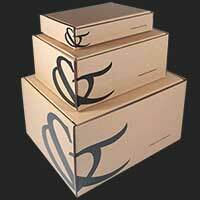 Simply make a stencil in the shape that you want to create and outline the design on the wall. Tape over the pencil lines and apply two coats of paint to each shape. 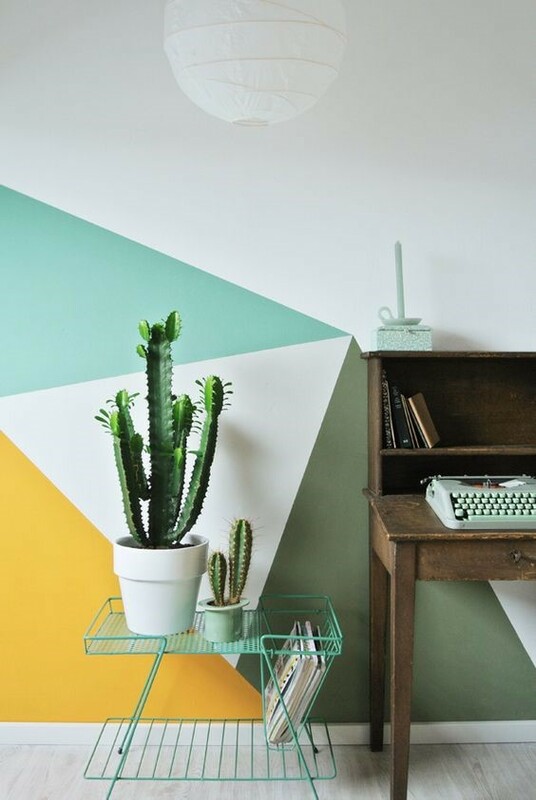 One of the trends we are loving right now is the half painted wall. 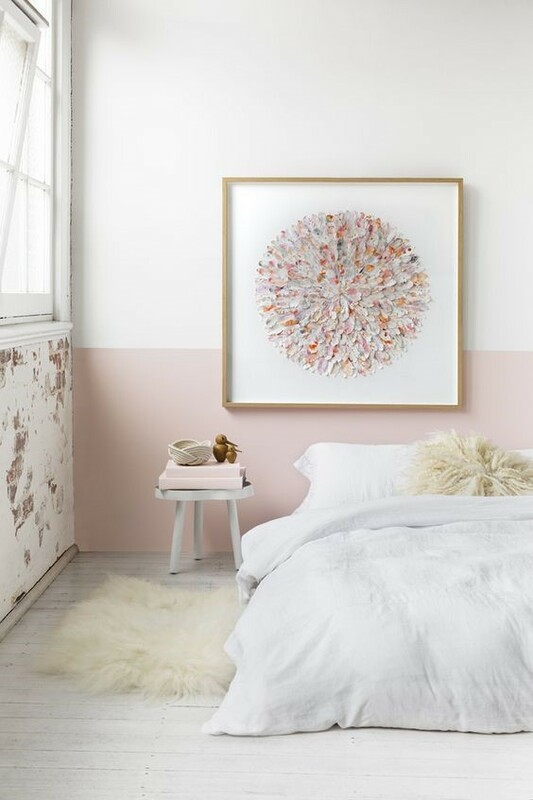 The colour combinations are endless when it comes to recreating this trend but we love the effortless elegance of this pastel pink and white design. Our Isabelle paint is a chic option for the bedroom. Instead of the usual spots and stripes, give your child’s room a mini makeover by painting a story on the walls. 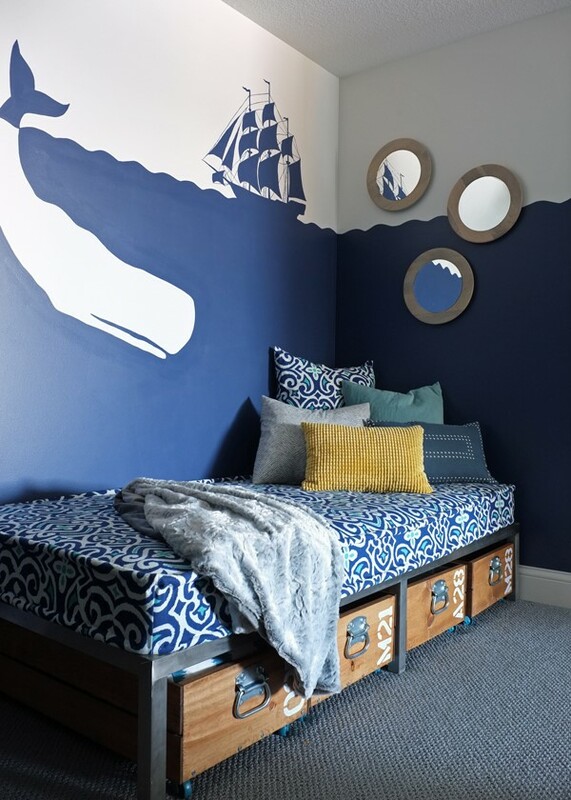 Paint three quarters of the wall in a dark blue shade to represent the sea and use a stencil to create a ship at sail. 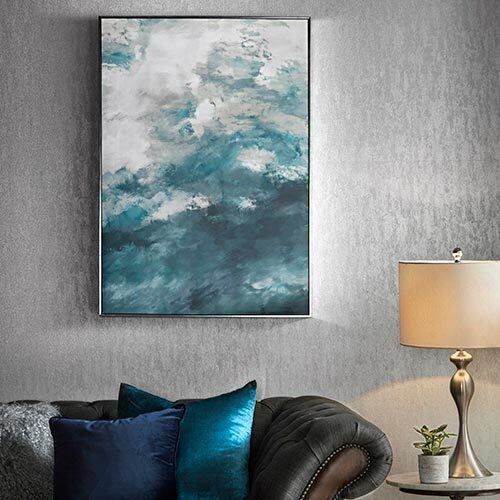 Our Ocean Size paint is a superb choice.